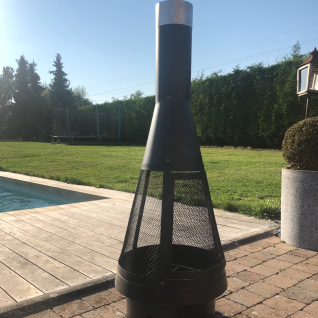 The Lipari brazier is an eye-catching, modern fireplace designed for outdoor use. It's perfect if you're after a warm, cosy outdoor fire. 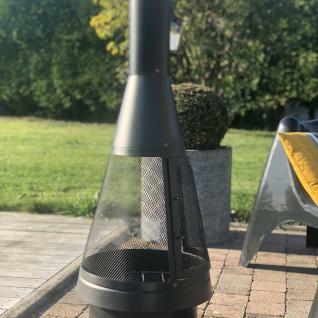 Light your garden and keep warm with a real log fire! It has a door on the front so you can add or move logs with the poker provided with the brazier. This brazier is made from steel coated with a black, heat-resistant paint. The grills that surround the fire ensure that the heat is evenly distributed. The grill at the base of the stove prevents ash from suffocating the embers. 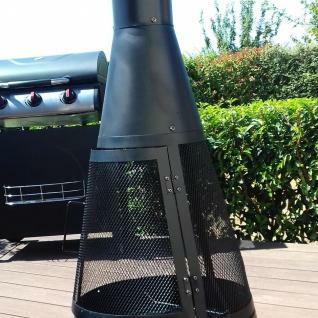 This outdoor brazier has 6 air vents at the base so that terraces, decks and lawns don't get too hot. We do not provide or sell logs.